Following the successful launch of three phases of apartments at Lansdowne Place, that are substantially sold out, the Hutchins, named after Ireland’s first female botanist Ellen Hutchins (1785-1815), is now released for sale. Showcasing the first units to front directly onto Shelbourne Road, opposite the traditional red bricked houses that Dublin 4 is well known for, the Hutchins offers 10 exceptional two-bedroom dual-aspect apartments over five floors with prices from €975,000. The eagerly anticipated release of the Hutchins introduces a new 2 bed apartment to the market providing particularly spacious accommodation from 1,200 sq. ft. to 1,350 sq. ft.
Lansdowne Place has been designed, built and finished to the very highest specifications offering unparalleled luxury living in a beautifully landscaped setting. Located in one of the capital’s most desirable village addresses the Hutchins provides a new layout and design compared to previous releases. Views from the Hutchins are quite unique due to its position within the scheme and all units enjoy a dual aspect to the east and west with living spaces that front onto leafy Shelbourne Road. Bedrooms in the Hutchins overlook the beautifully idyllic landscaped gardens designed by Bernard Seymour Landscape Architects, evoking the botanic history of the site along with a central water feature. The apartments on offer also provide unrivalled views over the internationally renowned AVIVA Stadium with units at the higher levels enjoying views across Dublin Bay. Lansdowne Place is situated on the corner of Lansdowne Road and Shelbourne Road. The individual buildings in the development have been named after acclaimed Irish botanists with close links to the site. 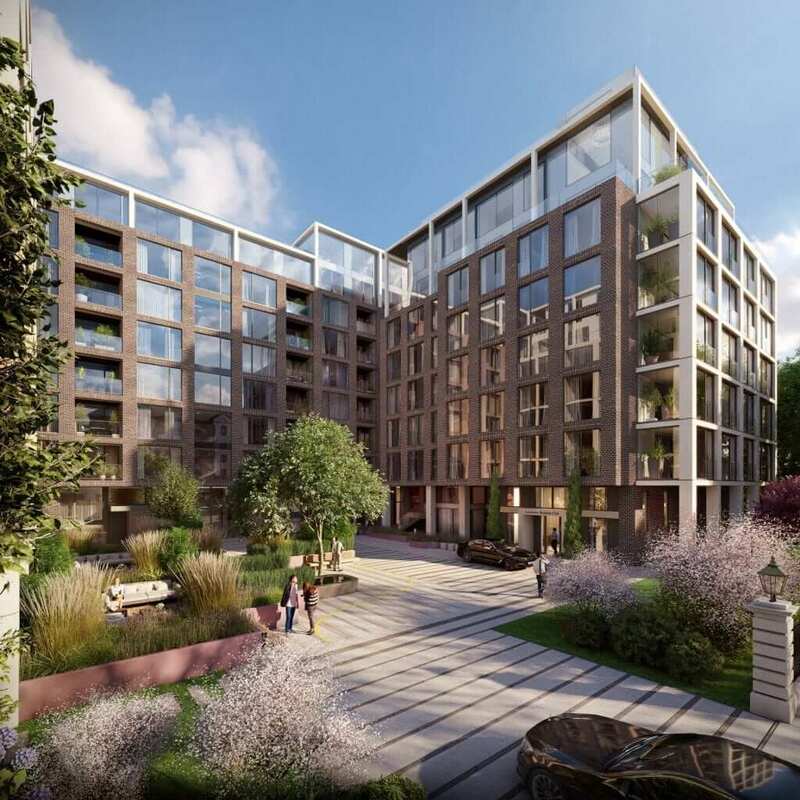 Sales at the luxury residential development have continued to surpass targets with in excess of €100 million secured to date. Four of the seven buildings have now been released with the first three substantially sold out, with a limited number of smaller two-bedroom apartments still available in the Barrington ranging in size from 954 sq. ft. to 1,627 sq. ft. and prices starting at €900,000 plus a small number of one-bedroom apartments measuring up to 780 sq. ft. with prices starting at €825,000. One of the main talking points has been the scale and service provided in the Residents’ amenities at Lansdowne Place. The Residents’ amenity offering will be provided over two floors totalling 6,500 sq. ft. and will be managed by a 24-hour concierge and management team including maintenance, security and guest relations. Residents and their guests will have the benefit of a lounge, library, meeting room, cinema and hospitality space. This unique lifestyle initiative, not delivered previously in Ireland, will also house a gym, sauna, steam room and treatment rooms. As part of the offering it is envisaged that a dedicated car sharing service will be available for the exclusive use of the residents. The Templeton will house these amenities and is due for completion in 2018. Purchasers of Lansdowne Place to-date have been attracted by the spaciousness, quality of craftmanship and superior finish of the apartments that are unrivalled in Ireland and compete with the very best of international standards. All apartments are characterised by bright open plan living areas that include spacious sunrooms that uniquely combine the beauty of outdoor living with indoor comforts. There are generous ceiling heights of 2.7 m (8’ 10”) and large floor to ceiling windows, sunrooms and balconies in almost every apartment. When it comes to design, every detail has been carefully considered by London-based interior architects, Goddard Littlefair in conjunction with O’Mahony Pike. Unique features include custom designed Irish craft integrated kitchens, coffered ceiling lighting in the living rooms and bathroom suites finished in limestone or marble. Within the 217-apartment scheme there are twenty-four penthouses varying in layout and size of which nine have been released and sold to-date. 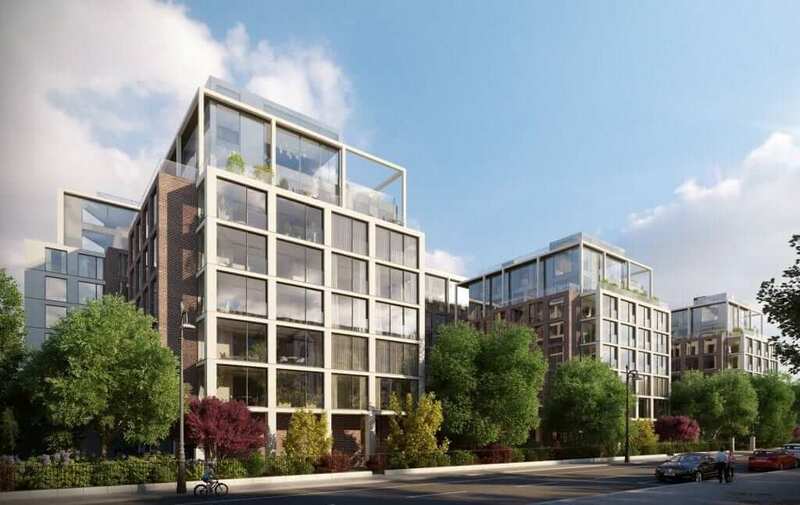 It was reported that one of the roof garden penthouses located in the Blake with frontage onto Lansdowne Road achieved a price of €6.5 million after being released on the market last September.